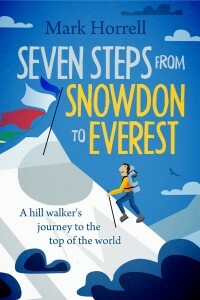 Mark had been an ordinary hiker who had only read books about mountaineering. When he signed up for an organised trek in Nepal with a group of elderly ladies, little did he know that ten years later he would be attempting to climb the world’s highest mountain. 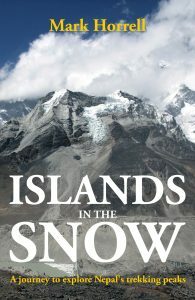 Funny, incisive and heartfelt, his journey provides a refreshingly honest portrait of the joys and torments of a modern-day Everest climber. In April 2012 Mark Horrell travelled to Tibet hoping to become, if not the first person to climb Mount Everest, at least the first Karl Pilkington lookalike to do so. 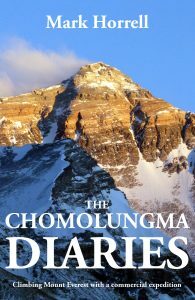 The Chomolungma Diaries is a true story of ordinary people climbing Mount Everest with a commercial expedition, and preparing for the biggest day of their lives. In April 2014 Mark Horrell travelled to Nepal to climb Lhotse, which shares a base camp and climbing route with Mount Everest. A devastating avalanche swept across the mountain, and suddenly he found himself witnessing the greatest natural disaster Everest had ever seen. 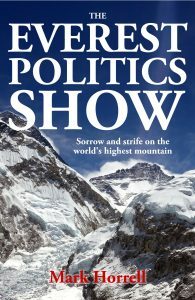 When a group of Sherpas came out in protest, what happened next left his team shocked, bewildered and fearing for their safety. This is the tale of Mark Horrell’s not-so-nearly ascent of Gasherbrum in Pakistan; of how one man’s boredom and frustration is conquered by a gutsy combination of exhaustion, cowardice, and sheer mountaineering incompetence. 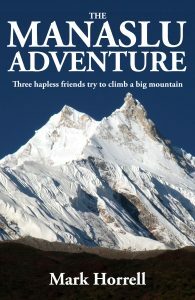 But that’s enough about his attempt; there were talented climbers on the mountain as well, and this story is also about them. 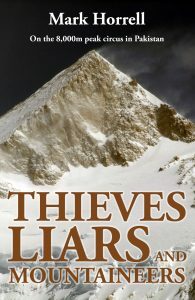 Mark Horrell and his two friends Mark and Ian shared a dream to climb an 8,000m peak, but it seemed the gods were against them. They had made no fewer than eight attempts without success. With towering ice walls, monsoon rainstorms, arm-twisting crevasses and – most dangerous of all – welcoming teahouses ready to entrap them, would it be different this time? Two days east of Lukla was a pleasant yak pasture surrounded by high peaks. When Col. Jim Roberts set out to look for it in 1953, he made the first ascent of Mera Peak and sowed the seeds of Himalayan tourism. Fifty years later, Mark Horrell embarked on a trek to follow in his footsteps, climb the two trekking peaks at either end of the valley, and resolve a long-standing mystery about Mera Peak’s height.